PIGEON FORGE, Tenn. (WATE) - Tennessee Bureau of Investigation agents are on the scene of an officer-involved shooting Monday after a man was killed after police attempted to serve him a warrant. Samuel Charles Talbott, 42, was shot and killed Monday as Pigeon Forge police officers attempted to serve him an arrest warrant. 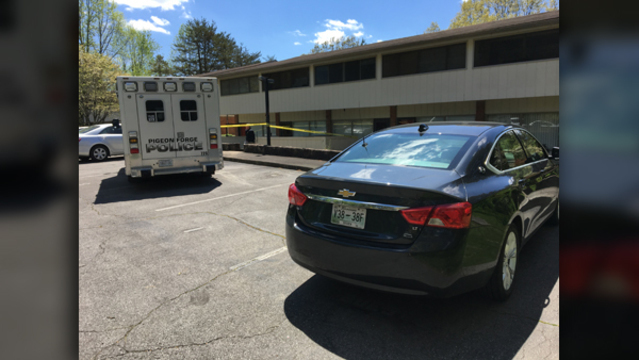 According to a release from the Pigeon Forge Police Department, officers were attempting to serve the warrant around 10:30 a.m. Monday in the 2800 block of Suncrest Drive. When confronted, Talbott revealed a knife and grabbed another individual who was inside the residence. Pigeon Forge officers tried to diffuse the situation but the suspect failed to comply with the officers' commands. He was shot once and pronounced dead at the scene. No other injuries occurred during the incident. WATE has a crew en route to the scene. This is a developing story and we'll continue to update the details as they become available.